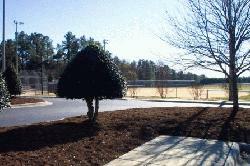 This park, encompassing twenty (20) acres, was constructed in 1991 and is located behind Rolesville Elementary School. Rolesville Elementary School uses the park during school hours and many recreation programs use the fields outside of school hours. 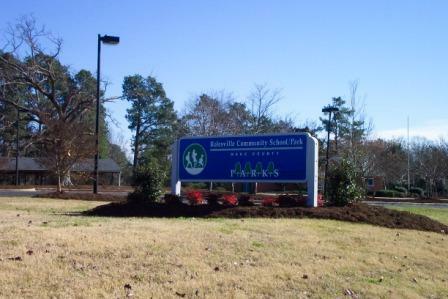 The park property is owned by the Town of Rolesville but maintained by Wake County government due to the school's usage. The park contains three (3) ballfields. Two (2) of which are able to facilitate adult softball games. The park also contains a large concession stand building housing bathrooms and storage rooms. A 30' x 60' (1,800 square feet) covered picnic shelter with tables are on site able to be reserved. For questions about reservations and availability, please contact Town Hall at 556-3506.